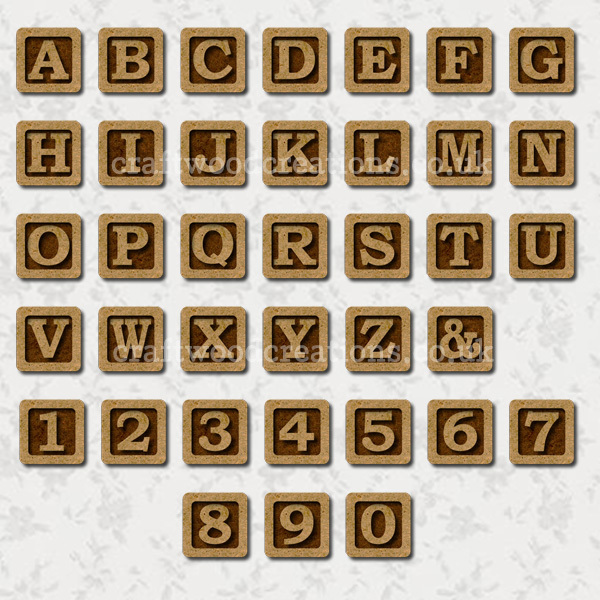 Alphabet tiles are made from approx 2.5 mm thick MDF. Tiles can easily be decorated with Felt Pen, Paint, Stain, Gel Pen etc. and also work well as Faux Building Blocks. Use for Spelling Names, Words, Dates etc. Designed and Manufactured in the UK. Please note when ordering items that have a quantity discount, for example the buttons where you can choose any three buttons for £1 that some will be displayed in your cart at full price and some will have a nil value. This is because the software cannot display an infinite number i.e. 33.333.... pence. All items are either ex-stock or made to order. You can pay with your Credit/Debit Card through PayPal or you can pay using your PayPal account. account or register with PayPal if you do not wish to do so. possible usually within a couple of days. Orders are usually shipped 1st Class or via Parcel 48 depending on the size of the parcel. Orders can however take longer to process during our busy periods. Button-It & Craftwood Creations © 2019. All Rights Reserved.